With the weather cooling down, here’s your chance to compete in the opening race of the Mushrif Park Cross Country Run. Taking place on Friday, November 2, participants can enjoy nature at its pre-dawn best as you head off road through Mushrif Park in Dubai. Whether you’re a beginner or an experienced athlete, there are different distances to choose from with 1.5, 3, 5, 10 and 15km courses on the agenda. It promises to be a challenging but thrilling event considering you will find yourself running on tree lined sandy roads and tracks and grass lawns. On top of that, you will also navigate your way along the tarred, sandy, pebbled and grass tacks while also enjoying the perfect surroundings of Mushrif Park. Warren Van Der Merwe from Super Sports Events, organisers of the run, is optimistic of attracting big numbers in the second edition. “Now in its second season, Super Sports is looking at growing the numbers to over 1500 runners over the three races,” said Van Der Merwe. Entry costs Dh175 for adults and Dh125 for juniors. As part of Super Sports Events’ vision in promoting a healthy lifestyle, they are also giving a discount for families. All finishers will receive a shirt, medals, refreshments and a downloadable certificate. Once the race is finished, you can even stay behind and enjoy the park facilities. Now in its 12th year, Walk 2018 welcomes families and friends of all ages to join a 5km wellness walk encouraging more regular physical activity by residents of the UAE. Under the continued patronage of Her Highness Sheikha Fatima bint Mubarak, Imperial College London Diabetes Centre’s (ICLDC) hopes to engage more than 20,000 participants in its Walk 2018, the annual wellness event which highlights the benefits of healthier lifestyle choices across the Emirates, supported by the Department of Health – Abu Dhabi (DoH) and Abu Dhabi Sports Council (ADSC). ICLDC, in collaboration with other members of Mubadala’s network of healthcare providers including Cleveland Clinic Abu Dhabi and Healthpoint, will encourage the thousands of anticipated participants to join in range of dynamic activations, including Zumba demonstrations, trampolines, bubble football, gladiator challenges, badminton and fitness sessions at Yas Marina Circuit on Friday, November 16. “Walk 2018 harnesses the power of the Abu Dhabi community to proactively address the increasing incidence of diabetes in the UAE, taking positive steps together to embrace wellbeing through active lifestyle choices,” said Lawrence Patrick, chief executive officer at Imperial College London Diabetes Centre (ICLDC). As the UAE’s best-attended annual walkathon event, Walk 2018 is the cornerstone of ICLDC’s Diabetes.Knowledge.Action platform for increasing diabetes awareness in the UAE community. According to the International Diabetes Federation (IDF), more than one million people in the Emirates live with diabetes, and the prevalence of diabetes in the UAE is increasing faster than in the other Gulf states and worldwide. Authorities anticipate that the number of people with diabetes in the UAE will double to 2.2 million by 2040. “Our collaboration with ICLDC on Walk 2018 underscores our commitment towards achieving our vision of a “healthier Abu Dhabi”, we are proud to work alongside ICLDC to further develop a sustainably healthy and engaged community in the Emirate of Abu Dhabi; one that takes responsibility for positive lifestyle choices such as regular physical activity and balanced diet choices. Together, we can take steps toward a future with fewer of the social and economic challenges caused by chronic diseases, including diabetes,” HE Mohamed Al Hameli, undersecretary of Department of Health Abu Dhabi. 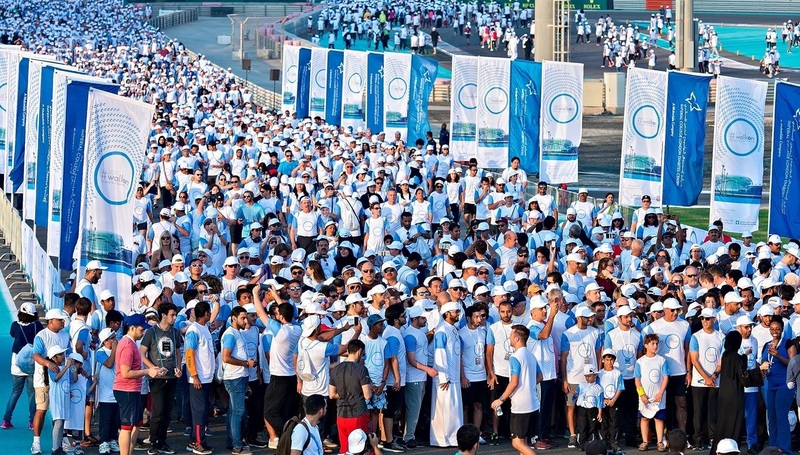 “Awareness and action are among the most powerful tools to address the public health challenge posed by diabetes, and we are resolute supporters of Walk 2018 as a platform which delivers both of these beneficial outcomes for the UAE community,” said HE Aref Hamad Al Awani, general secretary of Abu Dhabi Sports Council. Register today for Walk 2018 at www.premieronline.com/event/walkon2018 – entry is Dh10 for participants aged 16 and above. Triathletes from across the Gulf are gearing up for the start of the new 2XU Triathlon season. 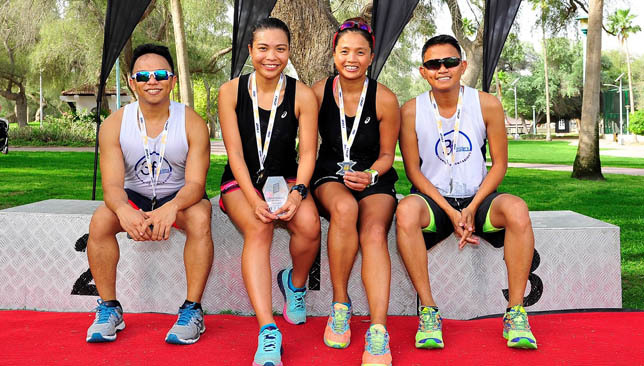 Sanctioned by the Dubai Sports Council, the opening race takes place on October 19 at Mamzar but there’s still time to join with registration closing on Tuesday. Whether you’re a first-time or experienced athlete, there are different distances to choose from. Four race categories will be on offer and will be comprised of different age groups. 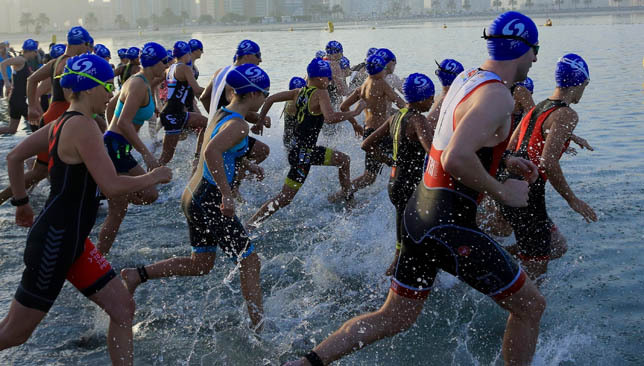 The Junior Super Sprint consists of a 180m swim, 8km cycle and 1.25km run. The Super Sprint is a 375m swim, 8km cycle and 2.5km run, while the Sprint is 750m swim, 24km cycle and 5km run. For those who want to test themselves even further can sign up for the Olympic category. This will see them swim 1.5km, cycle 40km and run 10km. Warren Van Der Merwe, race director of Super Sports Events, is expecting a big turn-out next week. “Race 1 of the season has always been the most popular race with many using it as a benchmark for the rest of the season. 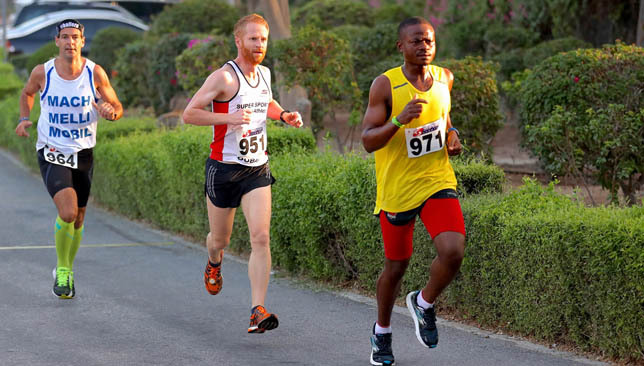 The race offers athletes of all ages and abilities the opportunity to put their skills to test with a choice of four different distances on the day” said van der Merwe. 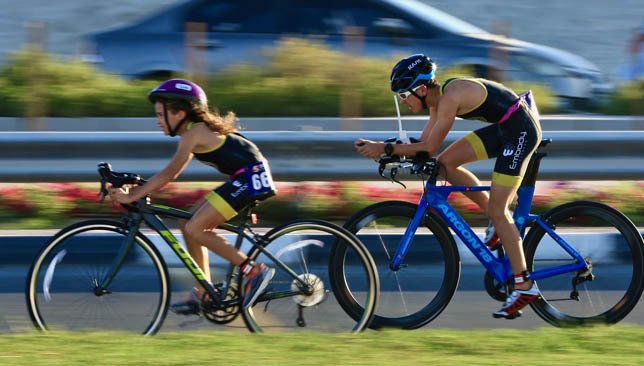 Anamaria Lascurain, 2XU marketing manager, added: “We are excited for the start of this season’s Race 1 of the 2XU Triathlon series, an event we have been organising together with Super Sports for the past seven years and has become a reference point in the Dubai’s sport scene. The 2XU Mamzar and Hatta races are the perfect fit for our brand as triathlon is our heritage and we create the world’s leading triathlon gear. We will be offering all athletes a 2XU technical training top, which they can collect with their race pack from Sport In Life”.